Learn the signs of depression and take action now to heal. Did you know that anger is sort of on "both ends" of depression? What I mean by that is that: 1) not expressing anger can get you into depression, and 2) Healthy anger expression can help with the healing process to get you out of depression. 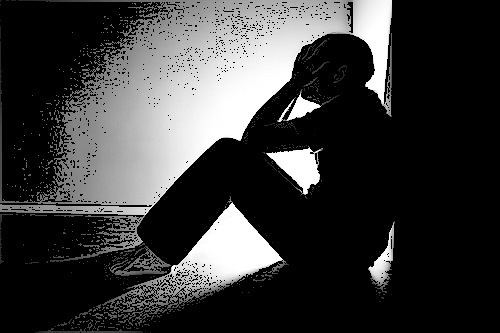 Depression comes with a sense of despair and helplessness, and healthy anger can be a way out of those feelings. 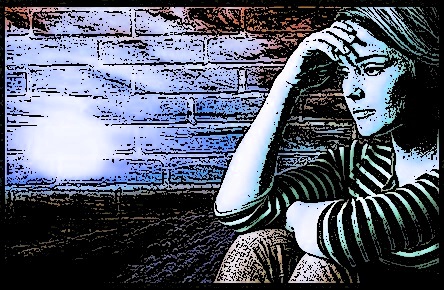 The type of depression we're talking about here results from unexpressed pain, fear and anger, and the good news about that is that you have many choices for healing right at your fingertips. Did you know you were designed to be healthy and happy? It's true, and all you have to do is remove the barriers to this natural well being. Let's get started so you can feel better! There are many different symptoms that indicate that you are depressed, and they can be physical, mental, behavioral and emotional or all four. We're going to touch on some of the major ones here, and you can do further research if you would like to know more detail. You're tired all of the time. You get sick more often than usual (depression depletes your immune system). You sleep too much, have a hard time getting out of bed, or use sleep as an escape from life. You don't have much of an appetite. Or, it can go the other way, where you eat more than usual--for emotional reasons, not because you're hungry. Nothing looks interesting or exciting to you. Everything seems to have a "blanket" or a "cloud" over it. You tend to think negatively most of the time, especially about yourself. It is hard for you to concentrate on anything for very long. You feel mentally exhausted, and thinking things through is more effort than you're willing to exert. You may find yourself thinking about dying. You don't feel excited about anything. You rarely or never get angry--or you may feel angry, but consider it hopeless to express it. You hardly ever laugh or smile. You are not motivated to do anything. Love and love making do not interest you as much as they once did. You just don't do much of anything. What you do, you're just "going through the motions." You watch more TV or play more video games than usual. If you let yourself, you can get caught up in escape activities like eating, TV, movies or games. If you're still not sure whether you're depressed, take this depression test, and that should give you your answer about the signs of depression. 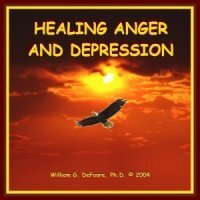 If you are ready to get to work on healing your anger and depression now, then go here to get started! Something happens that you don't like. You feel hurt, frightened, threatened, left out, overlooked, rejected, jealous, etc. But, because you have learned that anger is unhealthy, you don't do anything or say anything. Then it keeps happening. You keep feeling walked on, used and abused, and you still don't do anything--or you try complaining a little, but of course that doesn't solve the problem. Believe it or not, healthy anger is the action option, and if you don't take it, despair sets in. You decide that it's really hopeless. You give up and accept a negative view of yourself and your life. You start to show the early signs of depression. So, expressing anger in healthy ways is key to preventing depression. Learn to deal with your anger before it deals with you, and you'll never see the signs of depression in yourself. Learn what the National Institute of Mental Health reports about signs and symptoms of depression. Often, when a depressed person starts to heal, they begin to express their anger and start standing up for themselves. When anger is healthy, it fuels effective action that leads to positive results. This entire web site is devoted to helping folks express their anger in healthy ways. Learn about them now and you'll never have to deal with the signs of depression again. Watch for the signs of depression, and take action when they first show up. You are a good, healthy person inside, and that's where your healing will come from. Here is a great anger management resource below to check out! Have A Story Or Question About Depression? Do you have a story or question about this? Share it here!